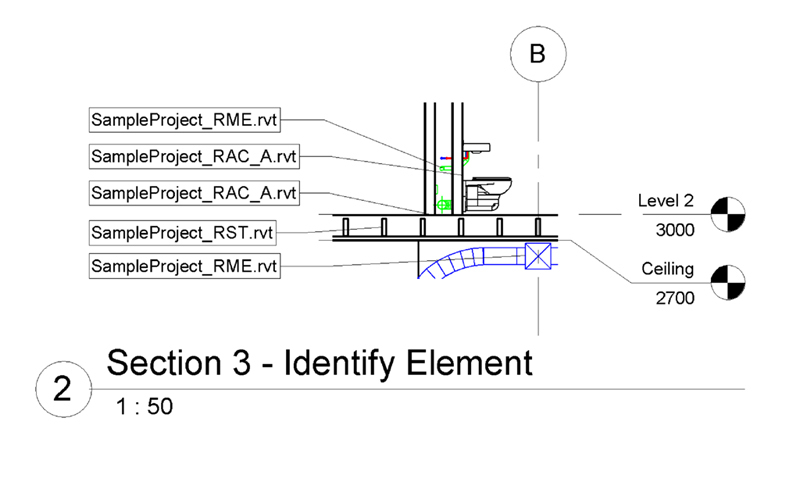 There is no easy way to override the color of an entire Revit link. Since most of my work involves linking Revit model from various subcontractors, this is something I miss badly. Until recently, I was still using some workset hack to create filters on linked models. These filters were allowing me to display linked model with my color of choice. But relying on workset leave much to be desired, and I have to find another solution. I recently came up with a different solution, where each model element know where they came from. The idea is to add file name, date and version in shared parameters on every model element. 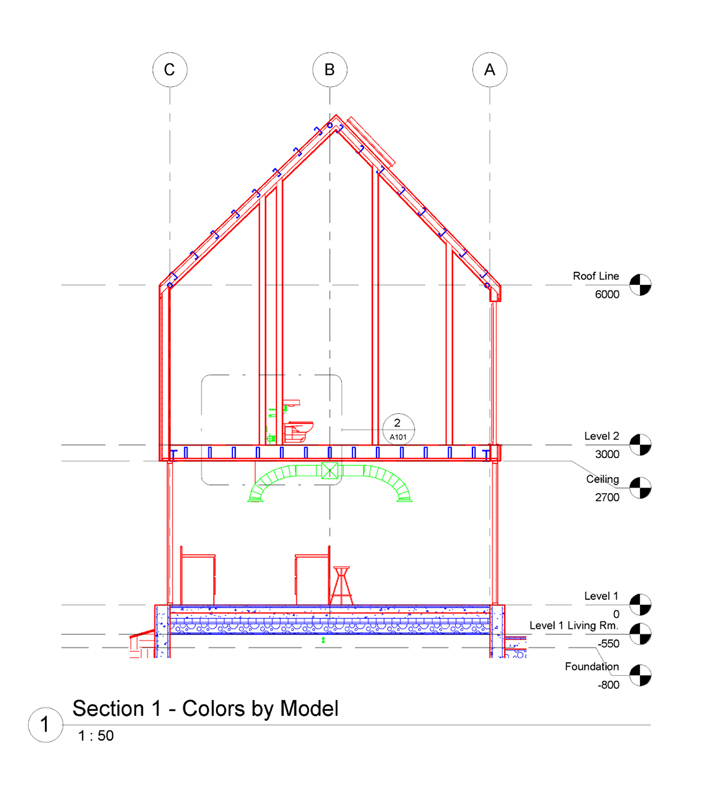 I created the corresponding Revit Add-In, and it is now available on the Autodesk App Exchange. The code itself is pretty easy, but there is a lot of applications. First, it becomes easy to create filters on linked model. These filters allow us to display each linked model with a different color. But it also enables us to tag the origin of every element, like we can see in the following screenshot. You can create a linked models schedule, with date and version. To help you create filters and tags with these parameters, you will find here the shared parameter text file. Please also note that the application uses a list of categories to create the four shared parameters. You will find this list here. I hope this application will help you in your work, don’t hesitate to share your suggestions in the comments.